Coco Wins Radio Disney Music Award! 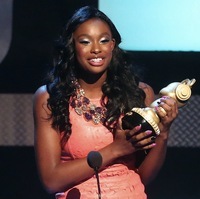 Coco Jones took home an Ardy Award at the Radio Disney Music Awards for "Funniest Celebrity Take" for her Sandwich Rap! Thank you so much to all of the fans who voted! 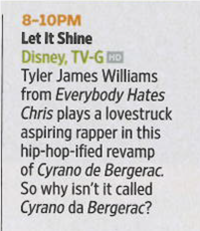 Check out her Sandwich Rap here. 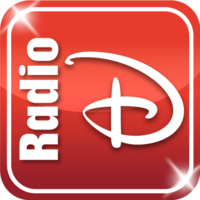 Visit RadioDisney.com and request Coco's new single, "World Is Dancing" now! Can't get enough of the song? Pick it up on iTunes. Did you hear the news? Coco will be hitting the road with Mindless Behavior and the OMG Girls this summer! For dates and tickets, visit the Events page. 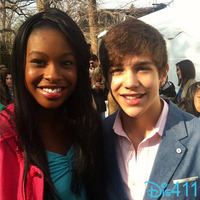 Coco will be joining Austin Mahone on select dates this summer! Catch them at the State Fair of West Virginia (8/11/13), the Allegan County Fair (9/13/13), the York Fair (9/14/13) or the Bloomsburg Fair (9/27/13)! For more information, visit the Events page.